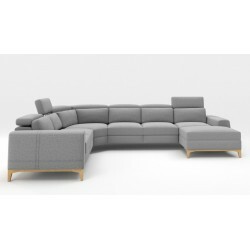 One of the most modern sofas that you are able to find on our catalogue is our U-shaped sofas. 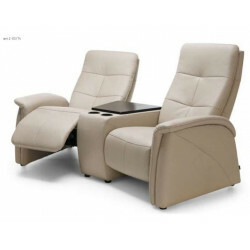 Demanding customers, who value good quality and modern design, will certainly be pleased with the furniture available at Sena online store. 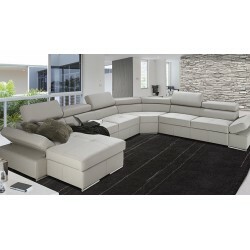 We recommend unique and distinguishable U-shaped couches in a wide selection of colours, materials, sizes, and designs. 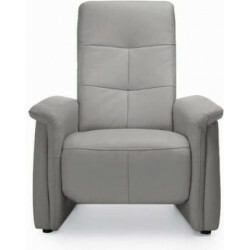 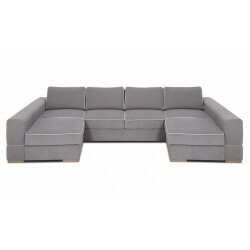 For instance, you can find out the latest trend grey U shaped sofa, Eco-leather / Leather couch, sectional furniture or even for those how to own a wide space we can provide you with large couches! 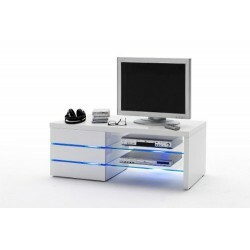 Scroll down on our robust catalogue and we assure you that you will find exactly what you are looking for! 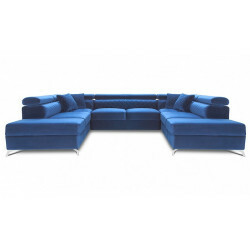 At Sena Home Furniture, as we wanted to make it easier for you we separate our sofas into categories so as to find exactly what you want! 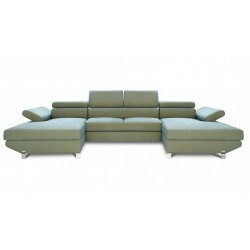 In addition, expect from the different sizes, shapes, and colours we are producing bespoke sofas as well. 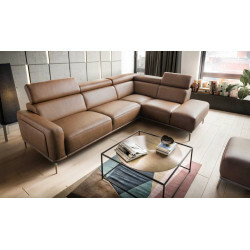 To be more specific, we can carefully craft your furniture in accordance with your living room dimensions so as to make it perfectly fit your space, if you are interested in having your own customized bespoke setter then -for sure- you will love Castello. 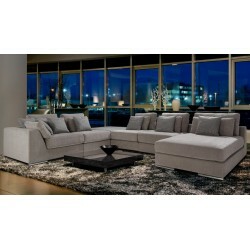 At Sena Home Furniture, as we are a trendsetter company we couldn't exclude from our catalogue they grey modern couch. This colour will fit every interior and will give to your living room that modern touch you were always looking for! 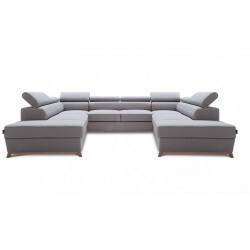 If you are interested in such a colour then -for sure- you are going to be interested in Arezzo the grey u shaped modular sofa! 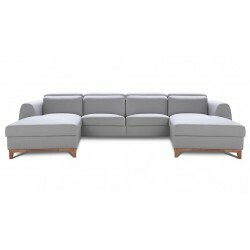 To begin with, a sectional or modular sofa is the one which gives you the ability to adjust or move around its parts so as to make it as comfortable as possible. 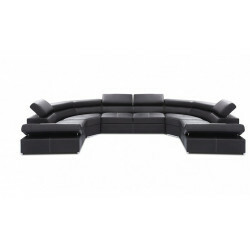 Some of the modular units can even become sofa-bed! 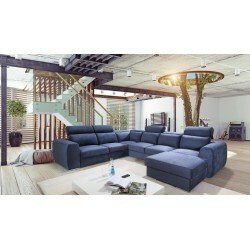 Having said, as you can see by yourself this kind of couch, due to its functionality, will be more than convenient for every single house! 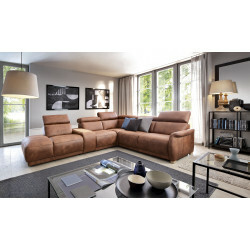 If we can't convince you; then for sure our Avanti II u shaped sofa bed will do! 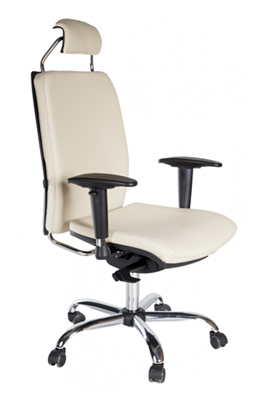 Finally, our setters are finely made by renowned manufacturers, which are located in the EU. 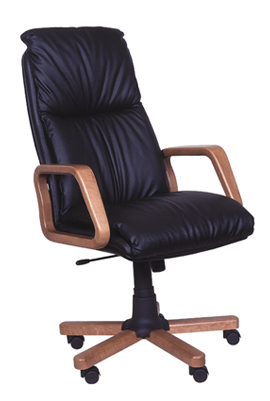 Top quality, solid wood and elastic filling used in the manufacturing process make them durable and simply ideal for relaxation. 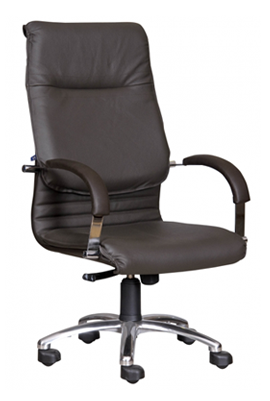 We will deliver to you a setter made by the highest standards and materials! 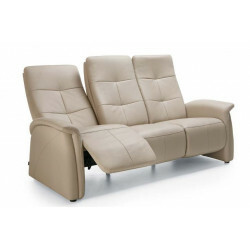 If you would like to have a guide that is going to help you to choose the kind of upholstery for your Sofa, then the article we prepared for you may be very helpful.